The United States of America is just one week into this strange, and at times terrifying, new political reality — the transition period into the upcoming Trump administration — and every eye in Washington, D.C. is focused on who will fill Trump's cabinet. But one high-profile, much-discussed name just stepped back from the table: Former presidential candidate and retired neurosurgeon Dr. Ben Carson has reportedly removed his name from consideration. Just wait until you hear Carson's ridiculous excuse for not wanting a cabinet position, because you have to hear it to believe it. The quote came from Carson spokesperson (and previously an influential campaign adviser) Armstrong Williams, who told The Hill that "everything was open" to Carson in terms of cabinet appointments, but that nothing was ever officially offered. Then, Williams explained why Carson was uncomfortable with the idea of joining the Trump administration — he didn't want to "cripple the presidency" by taking a job he had no experience and preparation for: "Dr. Carson feels he has no government experience, he's never run a federal agency. The last thing he would want to do was take a position that could cripple the presidency." Did you feel the punchline hit home just now? Carson — who ran for president in 2016 — considers himself unqualified to run a government agency. It's starting to feel like the jokes write themselves. 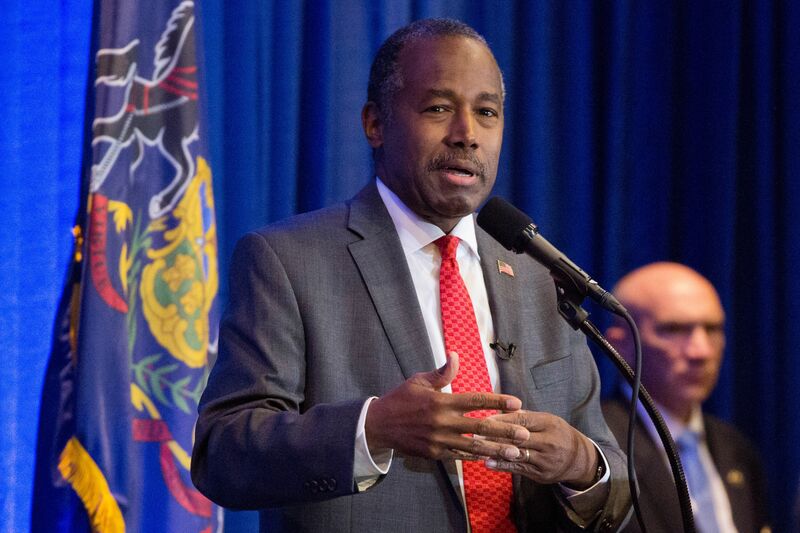 Now, to be clear, if Carson actually believes he's not qualified to run any of the government agencies he was rumored to be considered for — like the Department of Education, most prominently — then this is a very self-aware and selfless decision, and it should be applauded as such. That said, it slightly throws into question why Carson was running for president in the first place. Because, as recent events suggest, there are some major risks associated with pseudo-celebrity presidential candidacies from people who never seriously prepared themselves to govern. To assume Carson was running in good faith, that's basically what you now have to believe. That he never honestly considered whether he was prepared to commander in chief as a candidate, but when the possibility of a cabinet appointment actually materialized, he woke up to reality. In any case, hats off to Carson for not grabbing at some kind of appointment that he didn't feel qualified for. Considering that one of the reported front-runners for secretary of state is Rudy Giuliani, a former big-city mayor with vanishingly little diplomatic experience, that type of virtue might be in short supply for the next several years.